Sri Ramakrishna Institute of Technology (SRIT) has a very picturesque and serene atmosphere surrounded by green hillocks. It is located at the outskirts of the city. 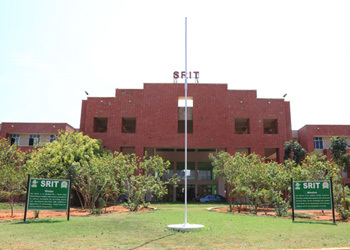 SRIT campus is a best mixture of culture and innovation. It spreads across 49.99 acres with built - up area of 65,117 Sq.m. It provides a flawless learning experience to the student community and cultivate discipline among themselves. Smart class rooms, state-of-the-art Laboratories, Central Library, Transport, Hostel, Bank, High speed Wi-Fi Connectivity are few of the marked features that make SRIT aloof. SRIT cultivates the spirit of enquiry among the student community and thereby pave the way for an innovative learning culture through strategic associations and creates facilities in the frontier areas of Science & Technology for world class research.